National Commission for Scheduled Castes is an Indian constitutional body established with a view to providing safeguards against the exploitation of Scheduled Castes to promote and protect their social, educational, economic and cultural interests, special provisions were made in the Constitution. 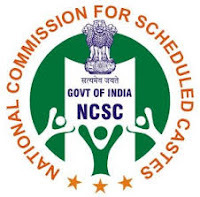 Applicants who have Completed Master Degree in relevant field or equivalent from a recognized Institute for NCSC Sarkari Naukri 2019. Eligible & Interested candidates can download the Notification & Application form on the Official website page at www.ncsc.nic.in NCSC Sarkari Naukri 2019.